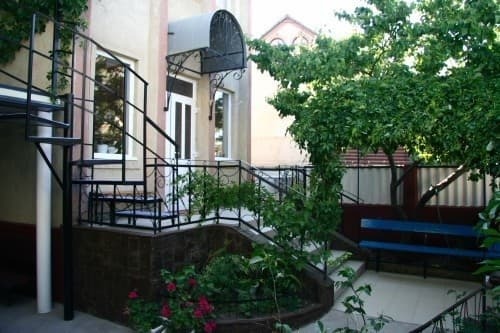 The private boarding house "Uyut" is located in a 15-minute walk from the sea, next to it is a beautiful park of the tourist and health-improving complex "Sudak". 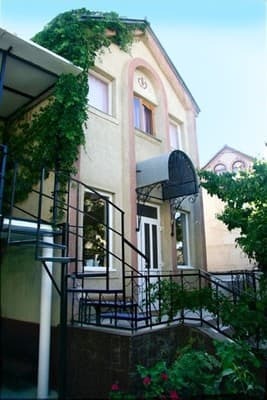 The private boarding house "Uyut" offers accommodation in rooms of various comfort and capacity with and without air-conditioning. On the territory of the boarding house there is a dining room where customers can order a comprehensive meal. Free Wi-Fi and parking are also available. Nearby are the market and shops, and on the waterfront there are many attractions and cafes. The distance to the city of Simferopol is 110 km. PRICES MAY CHANGE, IT IS REQUIRED TO RECEIVE INFORMATION FROM THE OPERATOR. 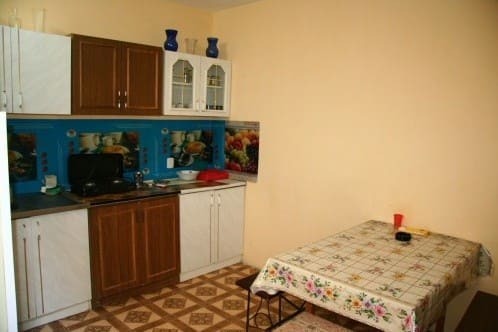 Description of the room: The room has a large double bed, balcony, refrigerator, kettle, set of dishes, TV, shower, toilet, washbasin, hairdryer. Rooms are cleaned on request. 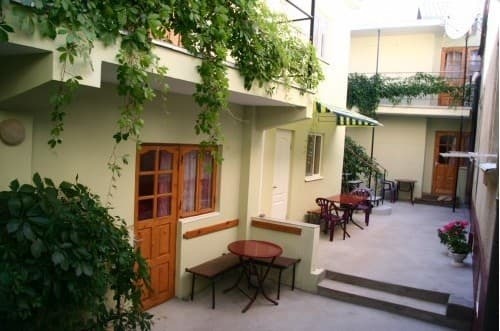 Description of the room: The room has air conditioning, large double bed, balcony, refrigerator, kettle, set of dishes, TV, shower, toilet, washbasin, hairdryer. Очень уютно, чисто, спокойно. Полное доверие и никакого вмешательства со стороны хозяев, очень милые и хорошие люди. Очень красивые и уютные номера за очень умеренную сумму в прекрасном районе с видом на море и Генуэзскую крепость (если повезет)). До моря, бодрым шагом, 20 минут. Выселится предложили раньше назначенного времени на полтора часа, не без скандала. Я была с сыном,ему 6,5 лет,мне все понравилось,рядом 7 минут ходьбы центр, горсовет,там банкомат,рынок,кипарисовая аллея,15- ну максимум 20мин пешком с ребенком до моря,комаров нет,можно кушать там же,на завтраки моему малому очень понравились блинчики,хозяева хорошие,приветливые. Children under 5 years old - discount on accommodation - 50%. 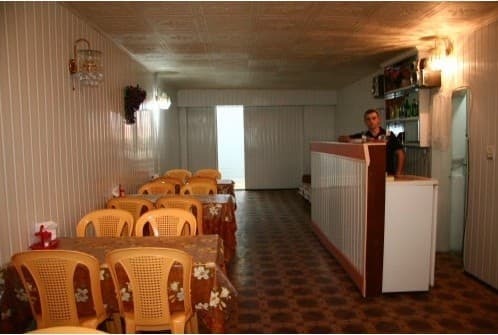 On the territory of the boarding house there is a dining room where customers can order a comprehensive meal. The guest house is located 15 minutes walk from the sea, next to it is a beautiful park of tourist and health-improving complex "Sudak". The distance to the city of Simferopol is 110 km. Nearby are the market and shops.